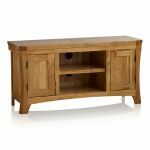 The Orrick Rustic Solid Oak Large TV Cabinet is designed to effortlessly accommodate your widescreen television, media players, and other appliances, whilst offering supplementary storage for any DVDs, games or accessories that go with them. 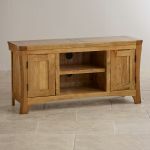 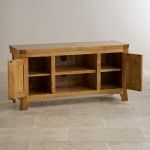 Expertly crafted using traditional carpentry technique from only 100% solid oak, it showcases a unique rustic styling with chamfered edges and carved handles. 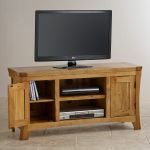 The exquisite grain patterns and golden tones of the oak are delicately enhanced with a coating of clear wax polish, which we recommend is reapplied every three to four months for a long-lasting protective lustre. 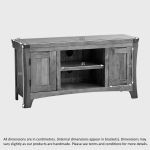 Beneath the expansive top, the cabinet features a generously-sized shelving area with additional storage in two cupboards. 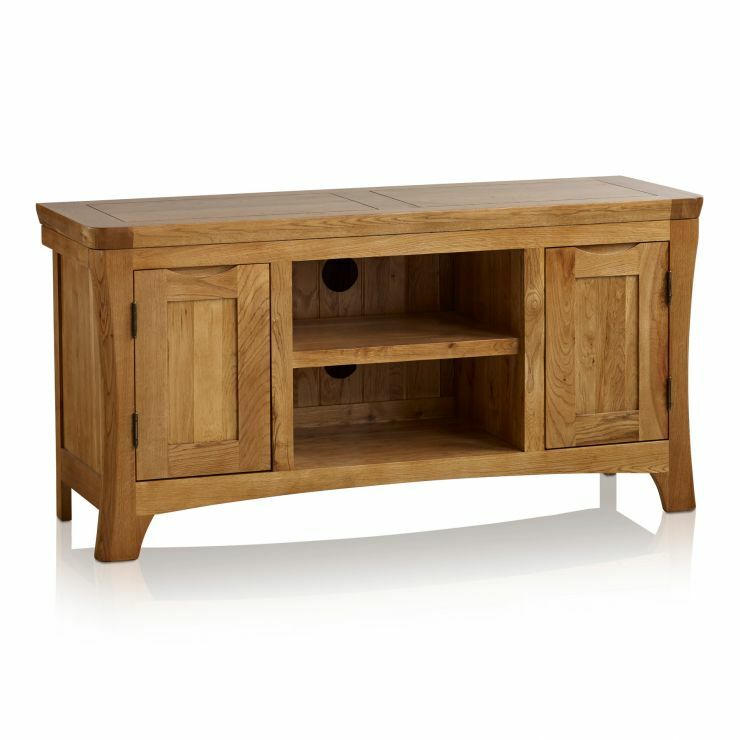 Check out the rest of the Orrick Rustic range for more items of quality solid oak furniture.